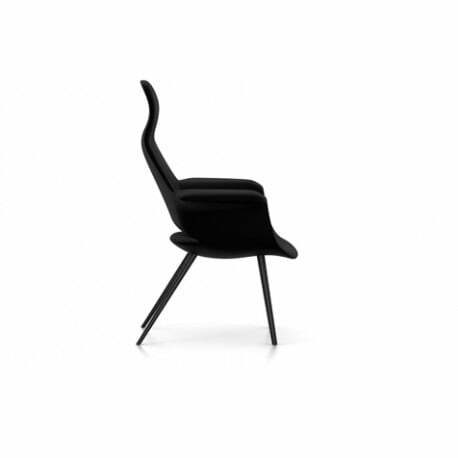 Buy Vitra Organic Highback Chair by Charles & Ray Eames, 1940 - The biggest stock in Europe of Design furniture! 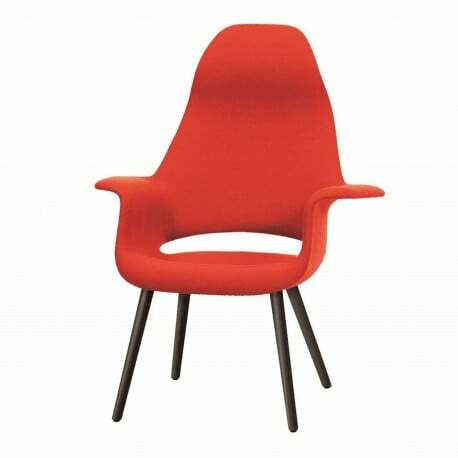 For the competition ‘Organic Design in Home Furnishings', Charles Eames and Eero Saarinen designed the Organic Chair in several versions for a variety of different sitting positions. The Organic Highback has an elongated backrest with a moulded neck support, making it a comfortable armchair for lounging or reading. 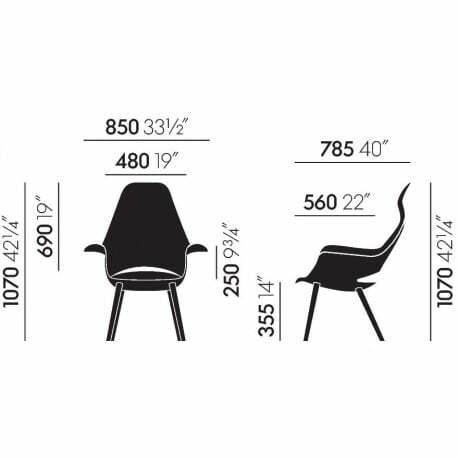 The dimensions of the armrests and seat surface, which are wider and longer than the Organic Chair, also augment the seating comfort of the highback version.